Meticulous, tension- free repair is critical to successful nerve repair. The precision of gesture associated with the robotic arms makes a surgical robot ideal for delicate, microneural repair. 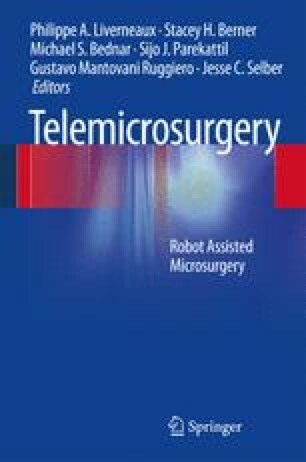 In this chapter, examples of clinical applications of nerve repair with a surgical robot are presented. Further to this, the perspectives with surgical robots are drawn, the so-called “supermicrosurgery,” with the aim to create a perfect match of motor and sensory fascicles or repairing extremely tiny and complex neural structures with great precision.